Ozzy Osbourne says Black Sabbath will record a new album with “13” producer Rick Rubin and then perform a final world tour. “Once the dust settled after the last tour we started discussing the idea, because we were getting asked about it all the time,” continued the singer. “I said to (wife and manager) Sharon 'What's going on? Because if there's no more Sabbath I want to get on with my own thing again' and she came back and said 'Let me look into it.' Three weeks later I asked her about it again, and she said 'Oh, I still have to talk to so and so...' and I said 'Sharon, I ain't 21 any more, if we're going to do it I want to do it before I'm 70!' Time isn't on our side! So she made the call and came back and said 'Yeah, the record company wants another album.' I believe Rick Rubin is going to do it with us again." Ozzy expects writing sessions to begin in the New Year. 2013’s “13” was the group’s first studio album with Ozzy since 1978’s “Never Say Die.” While the singer rejoined Iommi and bassist Geezer Butler, original drummer Bill Ward declined to participate in the reunion album tour over a contractual dispute. The group recorded “13” with Brad Wilk of Rage Against The Machine, while Ozzy’s solo drummer, Tommy Clufetos, handled live dates for the tour. 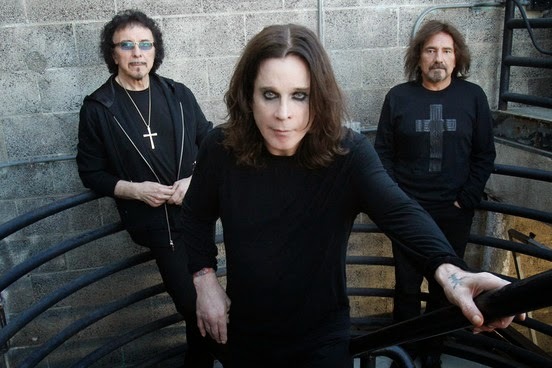 Black Sabbath played three warm-up shows in 2012 before officially launching the "13" tour in New Zealand in April of 2013; they went on to play 84 shows by the time the trek wrapped up in London’s Hyde Park in July.